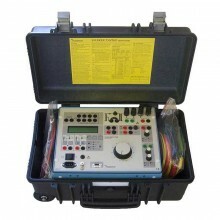 Includes: Test lead set, IP65 HD-case & Sverker 780 user manual. With its ease of configuration and its comprehensive range of facilities, including a variable-frequency voltage source with a continuous phase-shift function, Megger's self-contained Sverker 780 relay test set is an invaluable 'toolbox' for protection engineers, which is capable of testing almost any type of single-phase protection relay conveniently and efficiently. 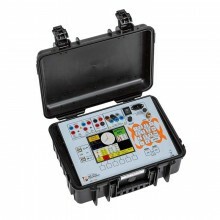 You can also test directional protective equipment efficiantly by means of the built-in variable voltage source. 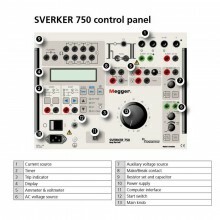 In Megger SVERKER780 this has a continuous phase shift function and adjustable frequency as well. 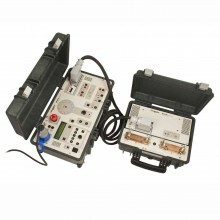 Automatic reclosing devices can also be tested - just as easily. 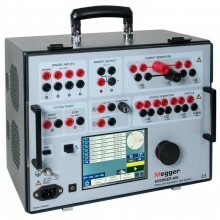 Designed to comply with EU standards and other personal and operational safety standards, the SVERKER780 is also equipped with a serial port for communication with personal computers and the PC software SVERKER Win. 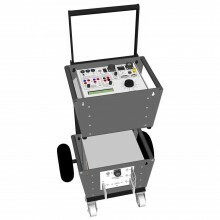 Current and voltage transformer ratio tests. 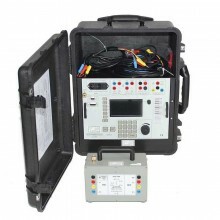 Burden measurement for protective relay test equipment. Injection: Maintained, Momentary & Max. time. 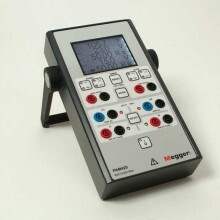 Filtering: When filtering is selected, five successive readings are averaged. 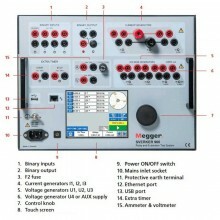 Off delay: The turning off of generation can be delayed after tripping. 200 V AC at 46 W 33 W continuously. Phase Angle 0 to 359°. Frequency 15 to 550 Hz. 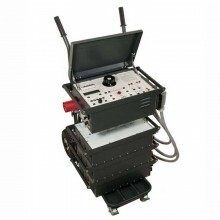 Application Field This instrument is intended for use in HV substations and industrial environments. 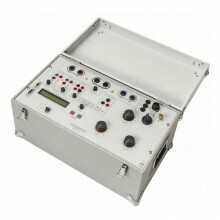 Operating Temperature 0 to +50°C (32 to +122°F). 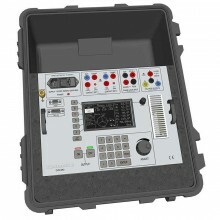 Storage/Transport Temperature -40 to +70°C (-40 to +158°F). Humidity 5 to 95% RH non-condensing. 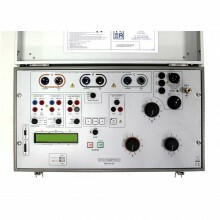 LVD Low voltage directive 2006/95/EC. 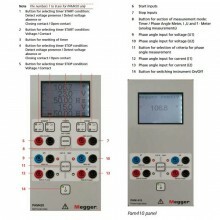 Mains Voltage 115/230 V AC, 50/60 Hz. 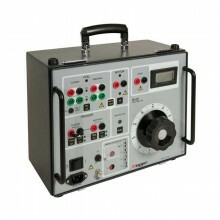 Power Consumption (Max) 1380 W.
Protection Thermal Cutouts, automatic overload protection. Languages Bulgarian, Czech, English, French, German, Russian, Spanish, Swedish and Turkish. Dimensions (Instrument) 250 x 270 x 220 mm (13.8 x 10.6 x 8.7"). 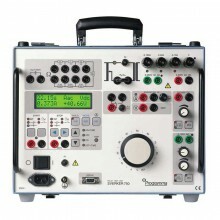 Dimensions (Transport Case) 610 x 350 x 275 mm (24.0 x 13.8 x 10.8"). 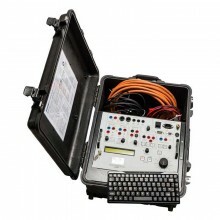 26.3 kg (58lbs) with accessories + case. 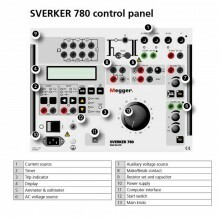 Sverker 780 warranty 1 year. 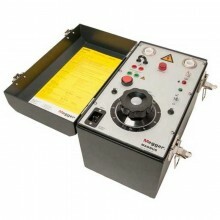 Internal 0.00 to 250.0 A. 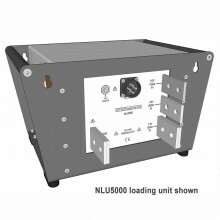 External 0.000 to 6.000 A. 0-10 A AC ±(1% + 20 mA). 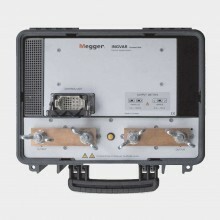 0-40 A AC ±(1% + 40 mA). 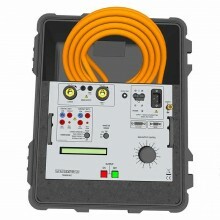 0-100 A AC ±(1% + 200 mA). 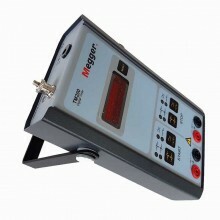 0-0.6 A AC ±(1% + 20 mA). 0-6 A AC ±(1% + 20 mA). 0-0.6 A DC ±(0.5% + 2 mA). 0-6 A DC ±(0.5% + 20 mA). 100 mA (range >100 A). 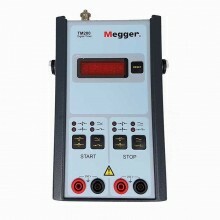 Measurement Method AC, true RMS. Range 0.00 to 600.0 V.
AC Z (Ω and °), Z (Ω), R and X (Ω and Ω), P (W), S (VA), Q (VAR). DC R (Ω), P (W). 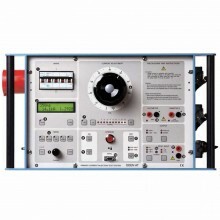 Range Up to 999 kΩ (X=unit). 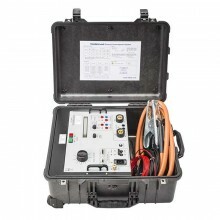 Max Voltage 250 V AC or 120 V DC. Items Measured Tripping and reclosing times. Display After test is finished a list of all times appears in the display. 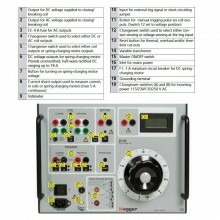 Break State Feedback The make/break contact can be used to feed back the breaker state. Max Number of Reclosings 49. 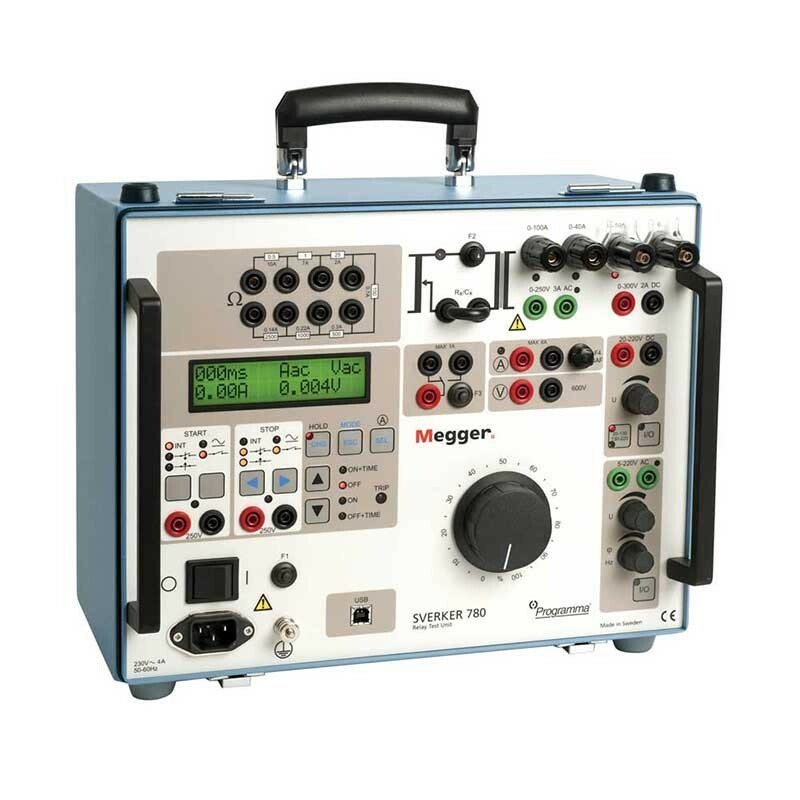 PDF Specifications of the Megger Sverker 750 & Sverker 780 Relay Test Sets.